should also be purchased. These tech tools are great gifts to request from Santa! There are many reasons you need a personal website for your real estate business. 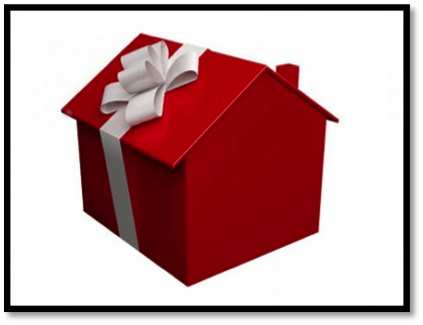 Perhaps the most important function of a real estate website is to serve as a comprehensive marketing tool that’s available to potential clients 24/7. It’s easy to purchase a website domain from a service provider like godaddy.com, register.com or sedo.com. However, if you’d rather create a website and purchase a domain all in one place, there are plenty of one-stop shops, like WordPress.com or about.me. These sites allow you to pick a template, load your content, and then upgrade your site with domain registration tools for a small fee. Be sure to read up on the latest news about .realtor domain names before you make a purchase. Look into application through the National Association of Realtors if you’re interested in acquiring one of these specific domains. iPads are ideal for agents because they provide many useful apps that eliminate the need for stacks of paper documents, seamlessly integrate social media tools and provide easy-to-use photo apps. Some firms even have their own apps available for tablet devices. Other uses include staying organized with tools like Evernote and creating listing presentations in an easy mobile format. “Like it or not, every agent must learn to use an iPad,” said Krisstina Wise, owner of The GoodLife Team, an Austin real estate brokerage. Wise urges agents to adopt usage of the iPad because in an on-the-go career like real estate, agents need the mobility that comes with having a tablet. But what is debatably an even more important reason to use an iPad, is that it is predicted mobile usage will take over desktop usage by 2015. 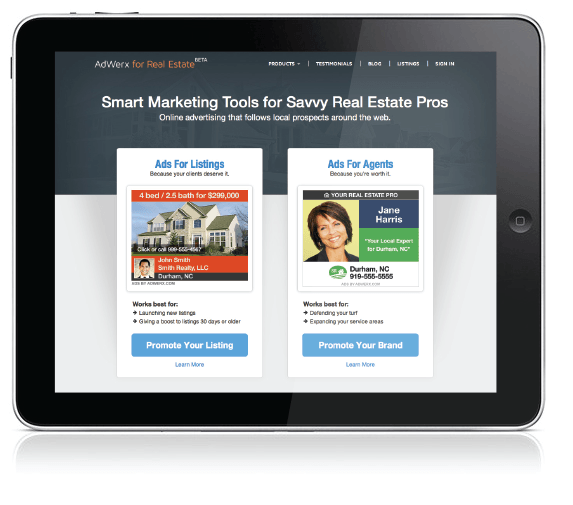 Wise’s team has created a site called thepaperlessagent.com, so once you’ve unwrapped your brand new iPad be sure to head to that site to find great resources on how to use it in your real estate business. Don’t forget to download multimedia apps to use for photo and video capabilities. You may even want to consider purchasing an iPad capable camera kit, like the HDhat. One of the best ways to advance your career and build your brand and listings is by getting your name out on the Internet. An AdWerx campaign is a fast and simple way to get seen in the zip codes you serve. Learn more about AdWerx in the video below. We suggest sending the video to your friends and family or posting it on your Twitter or Facebook — just leave them a few subtle hints! Agents, enjoy the gifts you receive this time of year. You give so much to your clients and colleagues! What tech gifts will you be asking for this year? Let us know in the comments below!